Picture a Chinese city scene and, chances are, you’re not seeing much green. 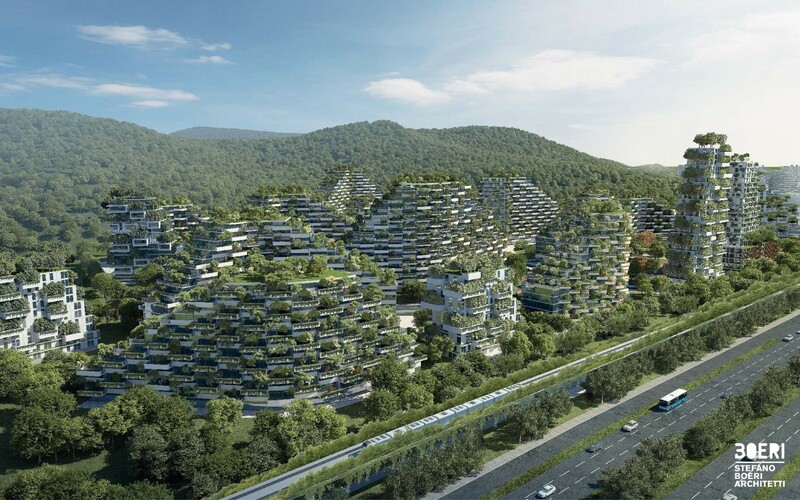 But the Liuzhou Forest City is set to challenge perceptions about urban living in the country and be a breath of fresh air - literal and metaphorical - for its 30,000 inhabitants. 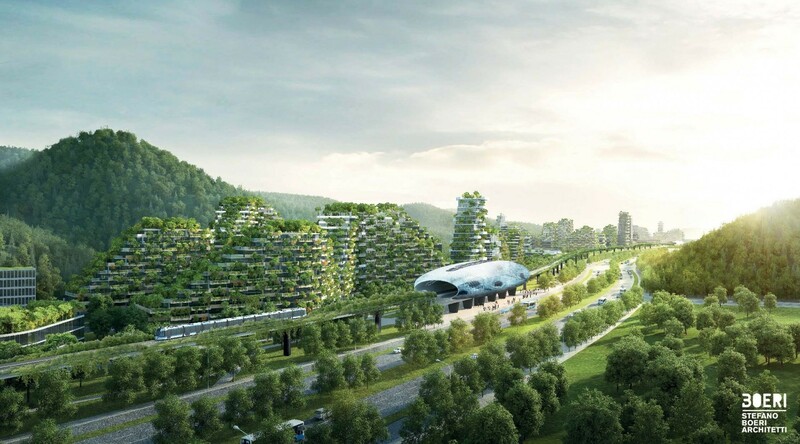 The new city, being built in southern China’s mountainous Guangxi area, will bring nature to an urban setting, with over 40,000 trees and 1 million plants covering every building. The green city follows a string of ‘vertical forest’ projects - highrise buildings swathed in green - being built around the world. 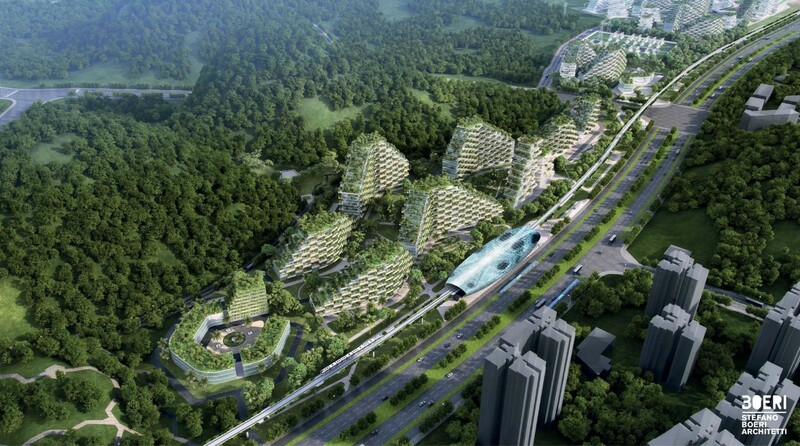 But Liuzhou Forest City, set to be completed by 2020, takes things to a whole new level. Each year the trees will absorb 10,000 tons of CO2 and 57 tons of pollutants. They should produce about 900 tons of oxygen a year, too. The architects behind the idea, Stefano Boeri Architetti, say the plants will also decrease the average air temperature, create noise barriers and boost biodiversity by creating a habitat for birds, insects and small animals. The new city will have all the mod cons expected from a new development including fast rail and road links and will be self-sufficient in its energy, with geothermal-powered air conditioning and solar panels on the roofs. The concept of blending the green and urban environments has been attracting plenty of interest in recent years. Boeri’s team is also behind the Nanjing ‘vertical forest’ - two skyscrapers covered in trees and greenery in the east of China, due to be completed in 2018. 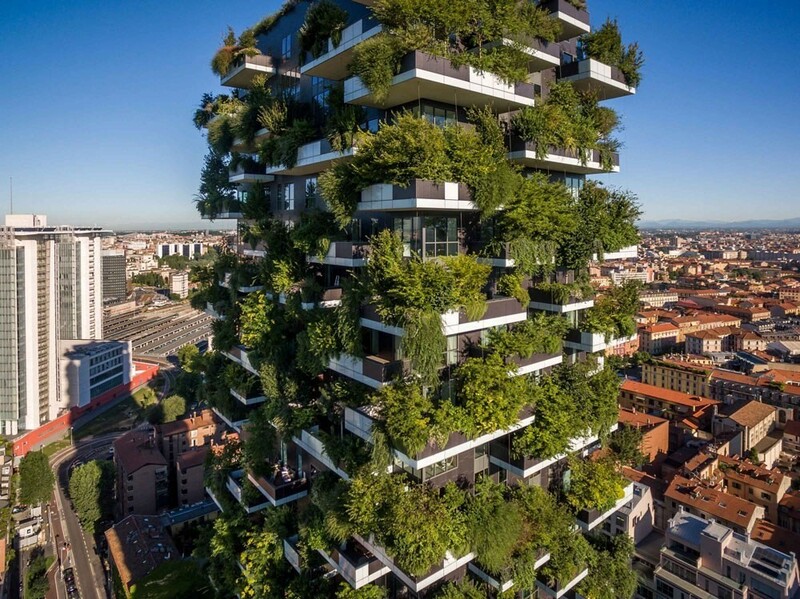 The Bosco Verticale, which can already be seen in Milan and Singapore, has its own supertree buildings. Boeri has also come up with a prototype for a larger-scale forest city in Shijiazhuang, one of China’s most polluted cities. Smog is a persistent problem in China, with Beijing and a number of its other major cities put on warning late last year as the authorities issued red alerts. Planners hope that building with vertical forests will also help to reduce urban sprawl, a growing problem as increasing numbers of people migrate from country to town. Over half of the world’s population now lives in towns and cities, and this number is expected to grow by just under 2% a year.